Thanks to Edward Tipshus for telling us of this American hero. 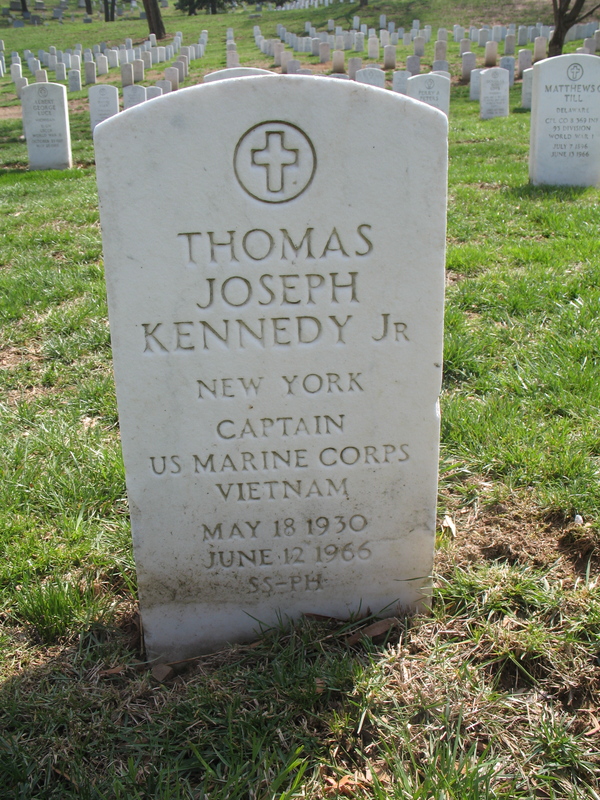 Thomas Joseph Kennedy, Jr. Captain, United States Marine Corps was killed while serving as an adviser to Vietnamese Marines. The President of the United States takes pride in presenting the Silver Star Medal (Posthumously) to Thomas J. Kennedy, Jr. (0-69955), Captain, U.S. Marine Corps, for conspicuous gallantry and intrepidity in action while serving with Advisor, in connection with combat operations against the enemy in the Republic of Vietnam on June 12, 1966. By his courage, aggressive fighting spirit and steadfast devotion to duty in the face of extreme personal danger, Captain Kennedy upheld the highest traditions of the Marine Corps and the United States Naval Service. He gallantly gave his life for his country.